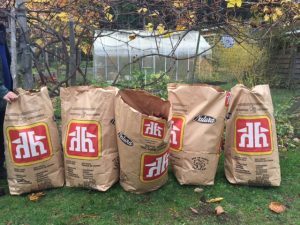 Galiano Island Community Food Program – How Long Did We Last? Unfortunately, we must say farewell, but that doesn’t mean we can’t enjoy one final food joke! 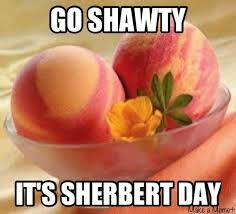 Q: What did the ice cream say to its fruity friend on her birthday? 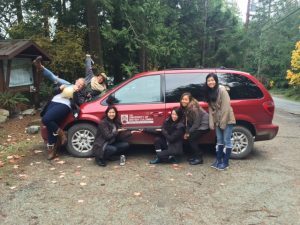 At the beginning of the course, we each decided to choose the “Galiano Island Community Food Program – How Long Will You Last?” project, because we were interested in investigating the island food system. When we recieved the brief information about the project and the island on which it is based, we had the impression that Galiano Island would be a remote area.We assumed that the main issue of their food system is the difficulty of importing food via ferry. However, after interacting with the residents on the island, we realized that the residents are fully aware of the possible food insecurities on the island, which makes them very self-reliant. We also learned that ferry unreliability does not pose as big an issue as we assumed. Therefore, the most significant challenge the food system faces is not a transportation issue, but rather other limitations such as water resources and soil fertility. We were outsiders coming to Galiano island and were strangers to its food system. Hence, our knowledge was limited on the basis of food security issues pertaining to the island. 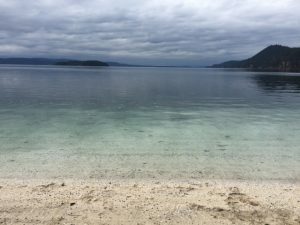 We did observations around the island, conducted interviews with the residents and created an online survey, to form new conclusions and findings about the Galiano food system. However, due to our preconceptions of how the food system would be prior to going to the island, we crafted our proposal accordingly to try and investigate the reliance of imported food and possible issues with the ferry system. This, however misguiding it may have been at the time, was a valuable learning opportunity and experience in being flexible and adapting to the situation. As a group, we worked together to change our proposal as well as our interview questions accordingly. The semi-structured format of our interviews allowed a lot of additional information to flow in. Not only did we gain knowledge from each interview, but we gained more question prompts pertaining to the more environmental limitations and solutions to their food security, rather than just focusing on food imports. This was a learning lesson in being open to new information and using that as the foundation of our research rather than the preconceptions we had. In the beginning of the project, our perspective about food security on Galiano island was somewhat biased, due to the name given to our project: “How Long Can You Last?”. Learning that Galiano island imports some of its food by ferry services led us to assume that they are not self-reliant. Based on the assumption that food import is the biggest issue that affects food security, we designed our survey questions to assess the level of food security on the island by finding out how much they rely on imported food. However, the responses from the residents were completely different than what we had expected – they turned out to be far more food secure than we thought due to the robust food growing culture and strong sense of community. After hearing stories about how they conserve water or store food in preparation for emergencies, we realized that limited water resources and extreme weather events are their priority concerns. When we were writing our academic review papers, we had to change the identified issue from food import to water or climate problems and we had difficulty establishing the claims related to the issue due to insufficient supporting evidence from the interviews and surveys which probed for information in the wrong direction. In the podcast Failure Is Your Friend, “premortem” is mentioned as a technique that ensures the success of a project by thinking in advance about all the ways things can go wrong, so that strategies can be developed to prevent failure. If we had done a comprehensive research beforehand on the challenges faced by Galiano island, such as reading the Island Trustee reports about issues on the island, and considered a wider range of risk factors for food insecurity, we would likely have foreseen that studying the reliance on food import was not appropriate in the context of Galiano island. We would have known to direct the focus of the interviews and surveys, to environmental problems and the strategies the island residents use to cope with them. With more useful information collected, we would have been able to address these issues in more depth in our academic review papers, to better identify the limitations of the island infrastructure, and to provide more constructive feedback for possible improvements. Going into the future, we acknowledge that we need to do a few things to improve ourselves… especially with projects! We realized that we need to lay out all of our shortcomings before we begin our project. By shortcomings, we mean the possible limitations that we could encounter and try to come up with solutions. Our biases can also play a role in shifting the project’s direction, so we need to recognize them throughout the project. We agreed it is better for us to not put so much weight on the suggested project direction when working on experiential learning projects… To think of constructive criticism as feedback that’s targeted to build on ideas rather than to tear them down. We also realized the importance of being prepared for a project. An academic research in the beginning can show the right direction of a project and improve the quality of the information gathered during the study. Additionally, it may also provide the right questions to ask our instructors to help further guide the progress of our project. Beyond the scope of this course we have learned a variety of lessons, both individually and as a community. This course has taught the benefit of active and hands-on learning, something we will search for in the future. 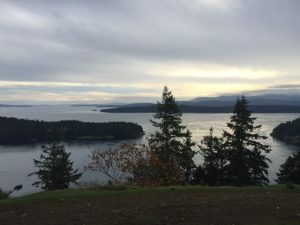 Furthermore, looking beyond us as individuals and viewing our Vancouver community food system, we believe that our residents could stand to learn a few things from Galiano Island. Vancouver would benefit from lessons in land conservation, the finiteness of water, the benefit of growing one’s own food and the limitless potential of community members when they serve each other in solidarity and exude cohesive strength. Now that we are at the end of the project, we strongly suggest that changes be made to the curriculum pertaining to the Galiano project for next year, putting the emphasis on the impacts of environmental issues on food security. Though it was our responsibility to conduct more academic research before advancing in our project, we believe that we all misinterpreted the title of the project, and the description found on the course website. Having known to focus more on the environmental issues rather than ferry issues, we all would have had a consensus to approach the project differently. We made an infographic summarizing our findings about strategies to increase the self-sufficiency of the food system that contribute to their self-reliance and were happy to present our findings to peers in order to raise awareness of the issues we identified. By the end of the term, we will write a final report which we hope will provide a base for further research to be carried out by another group of LFS students next year. We want to thank you for reading this blog and all our others and leave you with, arguably, our funniest joke yet. Q: What do you call a cheese that is not yours? Can’t wait to hear the punch line? Keep reading to find out the answer! Finalize our plan to visit Galiano island (scheduled visit: Oct 22-23), prepare interview questionnaires and create online survey. Discuss what information we would like to gather from our interviews, prepare our questions and practice with each other. Review the documents Jane provided us on the Galiano Island history to prepare for in depth discussion with the community members. During our tutorial, we participated in a “Moment of Significant Change” workshop. 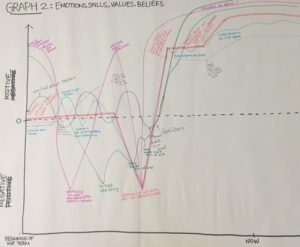 First, we individually created two graphs, one revealing our emotion, skills, values, and beliefs, throughout the semester (and of course our project), and the other revealing our knowledge of skills. Combined into two larger graphs, we were able to take a look at our journey as a group in LFS 350. Overall, our experiences were somewhat similar! 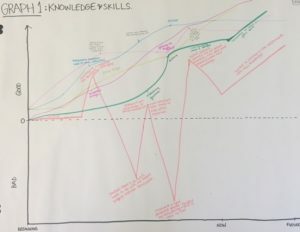 From the knowledge and skills set graph, the general trend can be observed – steady increase and slight drop in-between, and followed by a continual rise. In the beginning of the course, we were unsure about what to expect, but throughout the weeks, we realized that we were enhancing our knowledge on issues we’ve touched on before in LFS 250 such as food security. We also continuously gain knowledge on concepts that we have not learned before, like food justice and community food security. There were many times when we had to action before we knew exactly what to do, yet again and again, we successfully accomplished tasks that we thought were beyond our ability. Later in the course, after we got our proposal mark back, we started to have doubts about our ability to do proposal and our ability to interpret instructions given.This is where most of us had a breakdown moment, noted by the unanimous dip in the middle of graph (which also corresponds to the plunge in the second graph. However, this setback provided a great opportunity for us to increase our knowledge, as well as teamwork! With confusion about where we lost marks for the proposal, we met with our TA and received feedback as to how specific sections of our report can improve. The doubt that rose during our initial failure served as a motivation boost and increased communication between us through our common goal to ace the final report. Just as Lee. S. Shulman said in his article Pedagogies of Uncertainty, “without a certain amount of anxiety and risk, there’s a limit to how much learning occurs”. We started off with limited background knowledge and we experienced difficulties and challenges but the uncertainty pushes us to work harder and surpass our limits. We believe no one can learn from an experience that is all sunshine and rainbows. And hey, not everyday is a Sunday! We agree that failures are beneficial for us because they prepare us for tougher challenges that we may encounter in our futures. We also realized that working as a group requires more coherence and we definitely need to put in more collaborative time and effort. Another turning point of our emotions and knowledge is when we realize the gap between our study outcomes and our proposal. Before our trip to Galiano Island, our objective was to analyze how residents survive in times of ferry stoppages which may affect food availability on the island. However, through conversations with the food program organizers as well as residents at the local market, we were surprised to find that ferry stoppages are not a major concern due to adequate local food production. Instead, insufficient water resources and extreme weather events that cause severe damages to the island infrastructure are having a stronger impact on food security on the island. Furthermore, our situation was very similar to Dan Barber’s experience which he described in the podcast This American Life – Poultry Slam 2011: Act 3: Latin Liver. To summarize the podcast, Barber was trying to apply the method to grow geese from a Spanish farmer to his farm in New York. After years of trying, Barber’s goal was unsuccessful. Barber realized that there are many confounding factors in his mission, for example, the climate in Spain and New York. Similarly, we realized that we experience this as well. Whenever we are given an assignment or the blog posting, Will and our TA gave a brief objective and how to go about the work. In class, we always think that making a blog is doable because we have all the materials to craft the document. But in reality, it is not as easy as just a-b-c. There are more to to think about beyond using materials to construct a great blog. It is how we use the materials that we have in order to make a good blog post. This is where the challenge lies. Just when we think we have done a good job, when we submit it, we realized that we missed a lot of points that we were supposed to do. Nonetheless, it is after our Galiano Island visit that our knowledge and skills significantly improved. Throughout the whole trip, we had the opportunity to learn more about the food system on the island via in-person interviews, online survey feedback, chatting with the residents, and also through observations. We feel that we have worked together cohesively within our group, our TA, and also with Jane. Through this, we were able to expand our knowledge so much from the residents. For the future, we hope that our knowledge and skills will continue to grow as we come to an end in LFS 350 and advance in our lives. Understand each group members’ personal lines of the “Moments of Significant Change” and make sure there is mutual understanding of each group members thoughts and process throughout the project. Read over the constructive criticism from group members to work on our weaknesses. To keep group assignment deadlines in mind and divide tasks ahead of time. By doing so, each group member can start working on their assigned parts early to avoid conflict with other course assignments and exams. To embrace different thoughts in the group on interview, survey and observation results in order to achieve a more comprehensive and wholesome interpretation of our study outcomes. To reflect on our own and also other group members’ contribution to the project and give one another constructive feedback about possible improvements in the remainder of the term. To consult our TA and community partner about their expectations of our final report and presentation. Start to prepare our presentation and make sure to cordially invite our community member, Jane, to our final presentation of our project for viewing. Make sure every group member is on the right track to ending the term with the ideal emotions, skills, values, beliefs, and knowledge; in order to do this, we will make a schedule this Wednesday to ensure tasks are completed to each group members discretion. The white “sand” beach at the Montague Harbor. Those are actually shellfish, not sand! Now, the moment we’ve all been waiting for! Hi there! Here is our second blog post. Please enjoy reading it as it contains some of our plan in Galiano island next week (we’re very excited!). Decided on projects we are interested in and submitted our top choices! Successful group work requires a lot of communication, cooperation, and compromising from the team members. During the creation of our proposal, our group was having difficulties working well together. Initially, dividing up the components of the proposal and planning it went very smoothly. However, after few days we realized that there were some discrepancies in our interpretations of the project. For example, there were certain criteria on the proposal that was unclear and hence different interpretations from group members. Since we all come from different backgrounds and share different experiences, we all carry different values. Thus, creating different views. Additionally, our diverse backgrounds contribute to the different work ethics we possess. For example, some of us may prefer to solve problems alone before collaborating, while others choose to collaborate first. Regardless of all of our members initially being on the same page about our roles and the demands of our Proposal Report, we did not have much opportunity to meet in person and discuss our ideas to gain a more complete perspective on what our vision for the project was. As a result, we were left with difficulties formatting and creating a cohesive flow throughout the paper while also facing time constraints. Though we are satisfied with the final product of our proposal, there would have been value in our group contributing to each section together. This is a topic discussed in Point of View Affects How Science is Done (Bang, Lee, Medin, 2014). The authors use an example about how different genders and cultures researching chimpanzees observe different trends in their behaviours because of the diverse backgrounds of the researchers. To draw parallel to writing our proposal report, our differing experiences combined, could have contributed to a more wholesome and multi-perspective report. In addition to our differing pasts, we also vary in the way we prefer to work. Some of us prefer to write the full report together while some of us enjoy working alone to finish our respective sections. Part of our group has a work ethic that propels them to finish their task far before others, while some of our group likes to work slowly until the project is close to being due. We solve problems differently and each of us have different strengths from the Strength’s Finder Assessment which allows our personalities to complement each other well. When the strengths of each unique trait are acknowledged, these “differences” only make us better as a group. In Tim Harford’s TED talk how messy problems can inspire creativity, he mentioned a sociology study in which students in groups of four were asked to solve murder mystery problems and the groups with a stranger scored much higher than the groups of four friends, the reason being that the stranger added randomness to the group and it inspired creativity which led to more robust solutions. In our case, randomness is maximized since we were all strangers to one another before the project brought us together. We initially experienced awkwardness trying to adjust to each other’s way of approaching problems and felt that different opinions in the group slowed down our progress and decreased efficiency. However, the diverse perspectives provoked more comprehensive and deeper thoughts because they challenged us to examine and improve the logic of our own thought in order for it to make more sense to others. In fact, the diversity in our group greatly enhanced our performance even though we might have felt the opposite. Therefore, we should celebrate our differences which allow us to think out of the box, understand that mind collisions contribute to a successful outcome and listen to one another with an open mind. Now that we understand each of us have different schedules and obligations, we are going to communicate with each other much earlier in advance about scheduled meeting times and questions about our assignments, other than only relying on the allotted time in tutorial to do extra group work. The diversity of our schedules and backgrounds from previous group projects has further educated us to be better problem solvers. This will be beneficial to the project because it will ensure that we are on the same page in all aspects of the direction of the research and process. In order to actually make use of any of these diversities, group communication is a key requirement for it to work. While we can benefit from all of our different ideas, it’s only beneficial if we participate in active listening in order to effectively incorporate everyone’s idea into the final product. Terry (2013) suggests that during group meetings, we should encourage the exchange of ideas and also perform active listening where one feels acknowledged (p. 2). Therefore, great communication skills such as active listening is one of the most important factor that can contribute to successful and cohesive group work. Compile questions for survey and finalizing the itinerary with Jane. Read through all the activities on the itinerary and make a list of necessary items to bring. Strategy: Discuss and divide workload between group members, while checking the progress by creating checkpoints at allocated dates before the deadline. Hello! 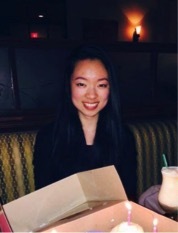 My name is Miriam Chen and I am currently a third year student in Nutritional Sciences. I want to pursue my passion as a nutrition consultant and possibly a personal trainer. Growing up with my grandmother who was diagnosed with diabetes made me want to help those who are in need of a well-balanced diet plan. I am also interested in learning about sustainability and how to be more self-sustain in order to help with the environment. Aside from school and work, during my free time, I enjoy going hiking and doing outdoor activities. 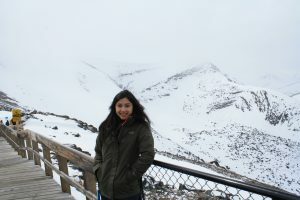 My name is Raisa Aulia Andriani and I’m a third year Global Resource System major at UBC. My deep interest in human health leads me to design and focus my studies in global health and nutrition. By pursuing this degree, I am hoping to integrate nutritional aspects to contribute and improve the health of an individual and community. I personally believe that our physical, emotional and environmental surroundings play a part in our wellbeing. Because, like the food system, everything is connected! Apart from school and work, I like to spend my leisure time reading, traveling and exploring new things. I’m looking forward to be a part of this Galiano island community project! Hello! My name is Rossie Luo. 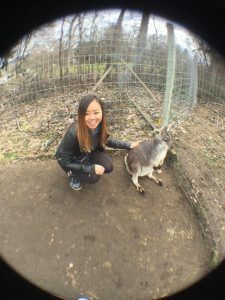 I am a third year food, nutrition and health major at UBC looking to pursue a career as a dietitian. Having grown up feeling overwhelmed by the numerous food options available and seeing people who think they eat healthy but end up developing dietary-related diseases, I decided to study nutrition and use my knowledge to help people make better food choices. I am excited about the opportunity to learn about the nutrition and sustainability aspects of a different food environment and the experience of working with community members as a “food expert” in the Galiano project. Apart from school, I enjoy travelling, reading and exploring good foods. Hello! My name is Anna Baumgartel and I am a fourth year Global Resource Systems Major. I am integrating International Nutrition and Food and Resource Economics as my main focus for my degree. I am very passionate about international development and ending the cycle of poverty. My hopes after graduation are to pursue a career in the non-profit sector and make philanthropy my full time job. Apart from school I am involved with Free the Children, I love to coach volleyball and I am very involved in the Autism community as I work as a Behavioral Interventionist, coach Special Olympics and work for the Canucks Autism Network. Hello! 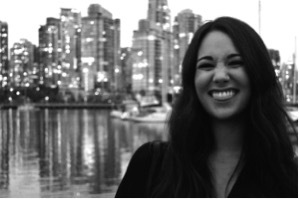 I am Lia Monteferrante and I am a fourth year LFS student at UBC. I grew up mostly in Rochester, New York. I came out here to British Columbia because of my love for nature and the mountains. I am currently studying Food and the Environment to help me better understand a way to feed our exponentially growing population in a sustainable, environmentally friendly way. I am very lucky to now live in a city that is so conscious about personal and environmental health. This consciousness makes a more symbiotic community between nature and people. My goal is to expand this knowledge to the rest of Canada and the United States. Knowledge is power. Hi! 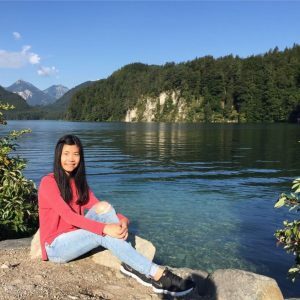 My name is Lily Li and I am currently a third year LFS student at UBC. My love for food grew in throughout high school, especially during my Food and Nutrition classes. Originally, I was in the faculty of Sciences during my first year because I thought of it as a safer and more general route. By the end of that year I realized that my interest for food was as strong as ever, so I made the decision to transfer to Nutritional Sciences in LFS. On top of making food (especially baking), I’m fascinated in the effects that various components of food have and how it interacts within each individual. I’m also a VERY curious person, which is why I love trying out new things, but mostly because I strongly believe that first hand experience is everything. So what brought us together? Aside from being in the same LFS 350 class, we all share similar interests related to nutrition, health, and environmental sustainability, which also gives this project a certain appeal. While most of us grew up with the luxury of having access to food almost any day of the year, learning about how smaller islands (such as Galiano Island) cope with the unreliability of food import from other places via ferry would be quite the experience! What further inspired us to explore the food justice on the island was Dixon’s article, “Learning to see food justice”, where Dixon suggest that food is not a personal choice and some people (such as the residents on Galiano Island) may be deprived of nutritious food due to inequality access. Also, being able to explore the island and the community is a great chance to investigate local sustainability knowledge and practices that can be transferred to our own food system. Luckily, a workshop on growing citrus and stone fruit falls on the weekend that we are visiting the island. 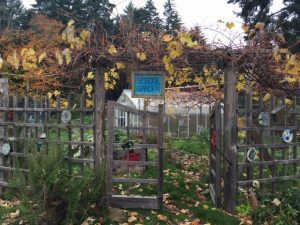 Not only it is a wonderful experience, but it can also provide us with more insight on one of the ways people on the island produce agriculture to help us gain a better understanding on how sufficient and efficient Galiano Island’s agricultural activities are. Working on this project for LFS 350 is a great way to develop communication skills, both with people of profession, and students or colleagues. We can also develop our skills of collaborating with community members and improve food justice by maximizing existing assets. The main objective of our project is to see how much of an impact the unreliability of ferries has on the food security of people on the island. Doing research is one thing, but physically going there to see first hand on how food circulates on the island and being able to talk to people about their personal experiences, would provide insight that the internet may not be able to offer! One thing that we do know is that Galiano Island imports food from other places. Doing so would help the residents in maintaining a well-balanced diet by increasing the variety of food options on the island, as the land might only be suitable for growing certain types of crops. Another objective is to explore the self-sustainability of the residents. We want to take a look at the limiting factors, such as water resources, diversity of food systems, agricultural lands available, and how would these factors effect the ability to grow food on the island. 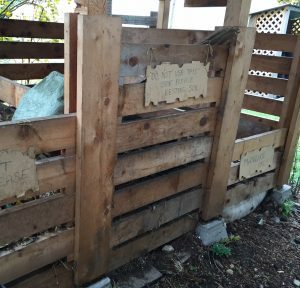 There has to be ways that the residents address these food security issues, and unique strategies they developed along the way as a community to improve their food accessibility and availability. Katherine W. Phillips writes about how “people who are different than one another […] bring unique information and experiences to bear on the task at hand.” in her article “How Diversity Makes Us Smarter.” This speaks true to our case. 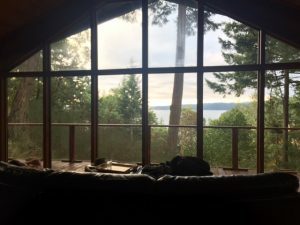 Compared to living in Vancouver, Galiano island seems so small and too difficult to get resources. People living there have found ways around challenges – challenges that probably wouldn’t have crossed our minds much at all. 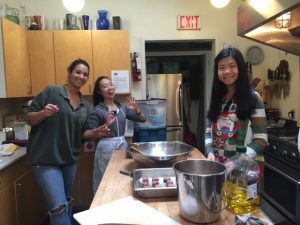 Interacting with the community will be an amazing learning experience… Especially since we have the pleasure of working with the Galiano Food Program within the Galiano Club. This community club is located on the South side of the beautiful Galiano Island, where most of the residents live. 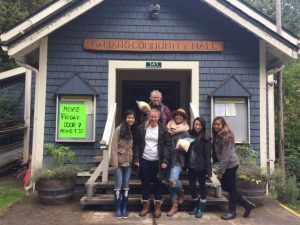 The Galiano club offers a variety of food programs such as potluck picnic and “Soup and Bread for Everyone” where the community kitchen offers $5 unlimited fresh soup and bread. In addition to food programs, the community club also offers game nights and competitions to bring the community together. In this section we would like to share our thoughts from the readings and video. We are thrilled about the direction this project is taking. Our group cohesiveness has propelled a wonderful start to our project. Communication and support has been plentiful to promote positive contact with our community stakeholder. Through Ernesto Sirolli’s TED talk video, “Want to Help Someone? Shut Up and Listen!”, we acknowledge that when we arrive in a new place, we instantly become a group of “outsiders” to the locals and it is crucial that we respect their culture and environment. In other words, Galiano Island may offer us a different culture than Vancouver. For us to respect the residents on the island is to accept their culture without any judgements. During our meeting with the community stakeholder, Jane Wolverton, has informed us a little bit about life on the island. For example, she mentioned to us that transportation is limited, whereby, there is no taxi service. In order to get around, the residents either walk, cycle, or hitchhike. She had also informed us that there is no cellphone tower on the island, so it might be difficult to get signal coverage. Additionally, unlike the food system in Vancouver, we need to free our mind from the assumption that most residents purchase the majority of their food from grocery stores, in order to make room for a knowledge exchange between ourselves and the Galiano community. These are a few examples of differences that we may encounter on the island later, and we should not ponder upon the differences but to embrace and enjoy them. For our hope in the future, we have considered Sirolli’s point about openly listening to our peers and becoming friends with whomever we work with. He mentioned that listening and understanding to the community stakeholder’s need and vision would advance the development of the project. After watching Sirolli’s video, our group have also realized that planning does not guarantee success. A great plan is the first step to climb the success ladder, but without considering few characteristics such as respecting our partner, maintaining their confidentiality and trust, and sincerely doing the task, our goal would not be achieved. Moreover, we have also considered what Will reminded us in lectures: to embrace the uncertainty. No matter how well we plan, something unexpected could always happen. And when the unexpected happen, we have to try to embrace and do something about it rather than being frustrated over what happened. Another interesting topic brought up by Douglas Medin, Carol D. Lee and Megan Bang in “Point of View Affects How Science Is Done”. The authors claim that we must carry multiple mindsets in order to draw widely accepted conclusions. We call it multiple mindsets because there are six of us in the group and some of us are bound to have different opinion than the rest. It may bring conflict but we will try to respect the different opinions and critically assess the perspectives, then draw a conclusion that all of us will agree upon. This is what we mean by widely accepted conclusion. Overall, we will keep in mind that this is an asset-based community development project. We will focus on the strengths of the facilities they have in place that contribute to a socially just and food secure environment. By collaborating with the local residents, we hope to combine the knowledge from different fields we are studying as well as the experience the community has gained through long-term practice to further improve food justice on the island.